Showing your foster children that they are loved is important every day, but even more so on a day as special as Valentine’s Day. Holidays like these offer ideal opportunities to create special memories your foster child can cherish for life. Here are a few ideas on how to celebrate this special day with your foster children. Considering sitting down with your foster child and make Valentine’s cards. Maybe for their friends at school, or if they have contact with their birth family, handmade Valentine’s cards would be a cherished keepsake for them. There are many cute Valentine’s Day movies that children and adults alike enjoy! Why not settle down with your foster child for a movie night-and let them pick the movie to make them feel extra special. Get creative and bake some love-themed treats! Use a heart shaped cookie cutter, for example. This way you are teaching your child a skill while also bonding with them and spending quality time with them. To make your foster child feel loved, why not make them their favorite dinner, or treat them to a meal at their favorite restaurant? It is important to try not to make your foster child feel alone or lonely on a holiday built around feeling loved and appreciated. 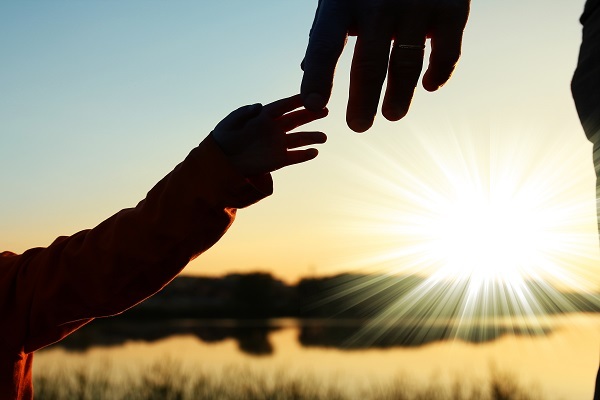 TFI Family Services is pleased to announce that we have achieved accreditation to provide incoming case intercountry adoption services pursuant to the Intercountry Adoption Act (IAA) of 2000. TFI has been working since April 2018 with the Intercountry Adoption Accreditation and Maintenance Entity (IAAME) to renew our accreditation to provide intercountry adoption services. These services are most commonly known as international adoption services. 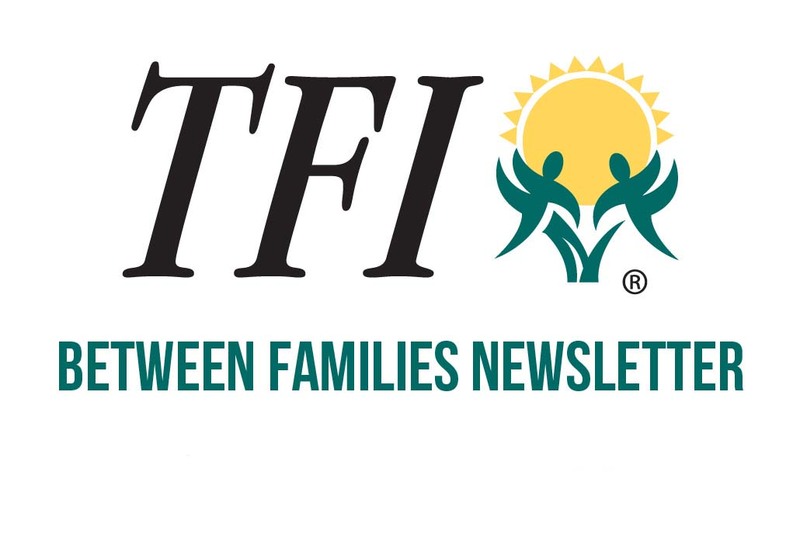 TFI Family Services International Adoption Program is a small program under the Kansas Foster Care Program and currently under the direction of Pam Richardson. Currently, the program provides the following services: Home Studies, Home Study Updates, Post Placement Reports, and expedited services. TFI will be accredited until May 2023. If you or anyone you know is interested in adopting internationally and are need of these services, please go to our website and check out our many services! “When they come into my home, they are mine.”- Patsy Wagner. Brett and Patsy not only state these words but their actions are shown through the attachments the children quickly build and how the children are able to adjust. They have had countless children come back to their “home”, through the holidays, baby showers and graduations. The children are able to see the family’s strong, healthy and appropriate relationships. They are not only accepted by the foster parents but feel accepted through all their extended family. The child is made to feel worthy and wanted! At this time, the Wagner’s are helping keep a sibling group of five together. They opened up their home and hearts to maintain the children’s sibling bond and connection. Each child participates in a sport and/or an extracurricular activity. They have maintained this busy schedule for over a year now and plan to continue to help support their foster children. The Wagner’s extended family display positive support as well by attending the children’s games and all their school programs. 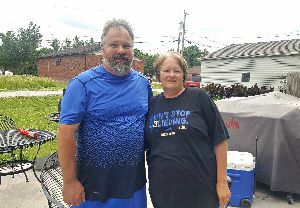 Their adult son stepped in to help coach for one of their foster child’s basketball leagues this year. Please be aware of this recent update to OKDHS policy regarding pet vaccinations: Copies of Pet Vaccine Records are required for every dog and cat and other applicable animal in the home. If self-vaccinating proof of purchase, lot and expiration date, and date of vaccination is required yearly. David Young and David Thrailkill were certified on 9/28/17. 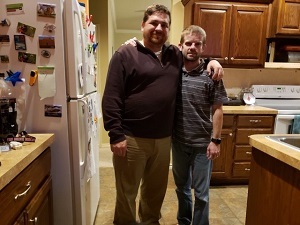 They have taken placement of a sibling set of 3 boys ages 10-16. When they became a certified foster home they did not open with the intention of accepting placement of a large sibling group. However, after taking placement of two of the boys they learned about a 3rd sibling and knew the importance of keeping all of the children together. They are now in the process of adopting all three children. This family is a great example of ensuring sibling connections and putting the children first. After adoption is completed the family plans to remain open as an emergency and respite placement. TFI is blessed to have such an amazing foster family. Thank you for all you do for Oklahoma’s children in need. Texas Family Initiative is excited to introduce Tracie Gray as our new Foster Care Supervisor for the Denton and Wichita Falls office. Tracie has been employed with TFI for over 2 years as a Foster Care Worker. She was promoted in December to this new position. Sherrel Mathews has been appointed as temporary administrator for TFI while we are filling the Director/Administrator position. Madison Baxter and Kody Boggs set out with a “5 year plan” when they first started dating. They wanted to be sure they could conquer anything before getting married. But things don’t always go according to plan…eventually they bought a cute one-bedroom house and moved in together. Soon after, their 1.5 year old niece came to live with them for six months but eventually ended up living with her grandparents. Sadly, in early 2018, their niece and her great-grandfather were killed in a tragic care accident. But this experience gave Madison and Kody a glimpse into the family they wanted. And soon, they became guardians for Madison’s infant nephew. He was tiny and needed help in the growth, nutrition, and the love department. He didn’t know how to play with toys and what fresh milk tasted like, or even what a smile looked like. 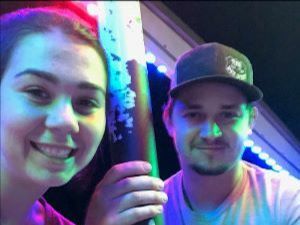 When Kody and Madison got him, Madison began reading every book or article she could get her hands on, trying to figure out what she could do to help her nephew. At first, he did not want to sleep in a crib because he had been left in a car seat for most of his early life; in fact he woke up every 20 minutes. After some tough love and letting him cry a bit, he quickly began falling asleep easily in his crib. Eventually, Kody and Madison learned that they would more than likely be adopting our nephew as well as his unborn sister. This may not have been the exact “5-year plan” Kody and Madison were expecting, however through lots of trainings and talks they realized that their love for each other would overcome any obstacles ahead of them. Kody and Madison look forward to growing their family with their nephew and soon-to-be niece and someday having a child of their own. Their future plans include opening their house up to future foster children as well. TFI is lucky to have couples like Kody and Madison! Self-care…as parents we tend to forget to take care of ourselves first. We think it sounds selfish putting ourselves before our children and spouses. The truth about self-care is it isn’t selfish at all. It is a requirement to get through our day, our week and sometimes our minute. You, as foster parents, have a huge and stressful job. That job is taking care of children that have been abused or neglected and have a lot of baggage to go with all of it. Your stress level on a daily basis can be at an all-time high on a moment to moment basis. If you aren’t taking care of yourself and making sure you are physically, mentally and spiritually healthy, you won’t be able to help anyone else. We know you have a stressful job taking care of the children in your homes. We want you to take care of yourselves along with taking care of the children. If you need a break talk with your worker about respite, use your alternative caregiver. We appreciate all that you do for us and we ask a lot of you. But we need you well and for you to be well you have to take care of yourself first. TFI Family Services would like to thank the Harley Davidson Foundation for awarding us $2,500 to help local Kansas foster families. 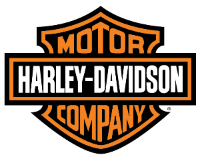 The grant from Harley-Davidson will help provide foster families with gift cards for immediate needs when a new child is placed into their home. 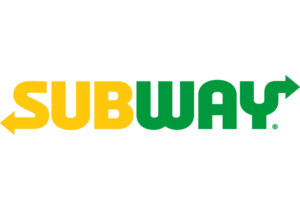 TFI Family Connections and Texas Family Initiative would like to say “Thank you” to Subway not only for their contribution of $2,500 to help local foster families, but also helping to promote foster care throughout 28 locations throughout Oklahoma and Texas. Sometimes parents find themselves in a verbal tug-of-war with their children. Often parents are tired and just want their child to cooperate with them and do as they ask. Sometimes there are children that just need to challenge everything that is asked of them. Nothing good can came from a will of powers between you and your child. It causes you and the child to become frustrated, angry, and unwilling to do anything that you ask. What are some ways that parents can avoid the battle of wills with their child? First, offer your child choices. Make sure they are choices you can live with. Give warnings and consequences. Let the child know that if they do not do ask you are asking, then they will have to deal with a certain consequence. Again make sure it is something you can live with, and be sure that you can and will follow through on the consequence given. What are some other ways parents can avoid or have the best outcome when they find themselves in a power struggle situation?